All that glitters is not gold because it could even be a gold jewellery maker. Since recommending this stock back in June 2014, we have seen it appreciate by ~ 600%in 3 years! That is a whooping 82% p.a. CAGR! Why did we select this stock and has it performed as per expectations? At the end of this article, we even share a free premium report with you! Keep reading. 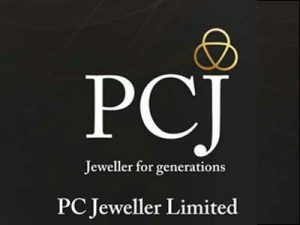 PC Jeweller is a Delhi based manufacturer of gold and diamond jewellery. 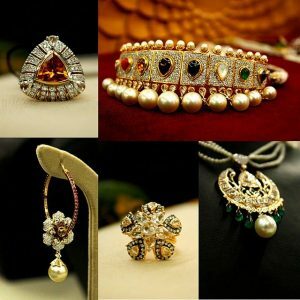 Established in 2005, the company has spread its foot prints across India catering to the nation’s growing jewellery demand. The company is spearheaded by Mr PC Gupta and Mr Balram Garg. In a little more than a decade, the company has managed to take on several established brands across India. The consolidated revenues of the company stood at Rs 8,479.55 Crores for FY 2017, while the consolidated PAT stood at Rs 421.01 Crores. The multibagger returns come from valuations re-rating and growth in earnings. The fastest way to returns is a combination of both. When we had done our research on PC Jeweller back in early 2014, it was growing at a 5Y CAGR of 65% in terms of revenues and a CAGR of 35% in terms of PAT. The stock was then trading at a PE of ~ 5.5 and while it had its own fair share of problems (High inventory requirements, contracting margins, etc) we were ultimately getting a double digit growth rate company at a PE of 5. So, our reason for investing in PC Jeweller was a valuation re-rating along with an expected 10% p.a. growth in EPS over the next 3 years. Did our thesis work? As you can see, of the 82.7% p.a. CAGR that we have generated, 76.16% p.a. is due to re-rating of the PE and just 6.54% p.a. is due to the EPS growth. Our thesis of a 10% CAGR in EPS over 3 years didn’t work out but we still managed to earn mutlibagger returns due to favorable market conditions and PE expansion. Notice how we talk of earnings growth all the time and not revenue growth. We were very much confident that the earnings of the company will not grow as fast the revenues but still, we were expecting a 10% p.a. CAGR in EPS between FY14 and FY17. There have been structural changes in the Jewellery sector and thus all companies have seen subdued growth coupled with pressure on margins. These changes are however expected to boost up the growth rates over the next few years. 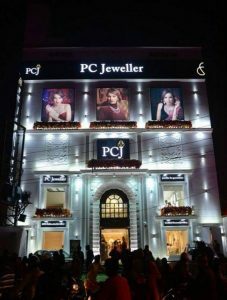 An interesting point is that the management of both Titan and PC Jewellers expect the growth rate to be ~ 20% p.a. for the foreseeable future. The jewellery industry is still unorganised and branded players like Titan, PCJ, etc have a huge market opportunity ahead. Reforms such as GST, compulsory pan card for purchases above Rs 2 Lakhs and hallmarking will level the playing ground for branded players. The re-rating scope for PC Jeweller is now limited. However, as we have discussed earlier in the post, multibagger returns depend on both valuations re-rating and EPS growth. There is a lot of room for PCJ to grow it’s earnings. While the last 3 years were disappointing in terms of earnings growth, PCJ actually out performed its sector!